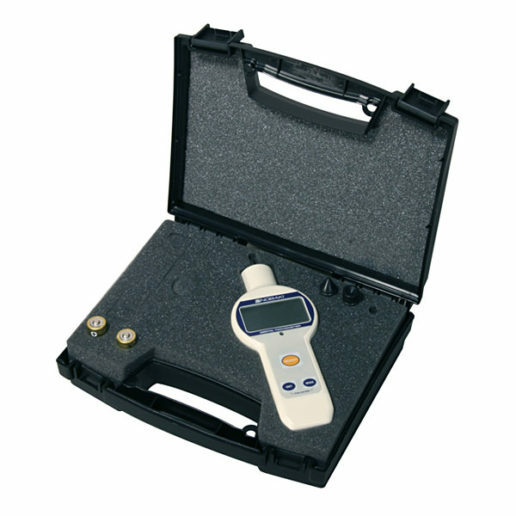 EHT-600 Digital Tachometer / Lengthmeter | Imada Inc. 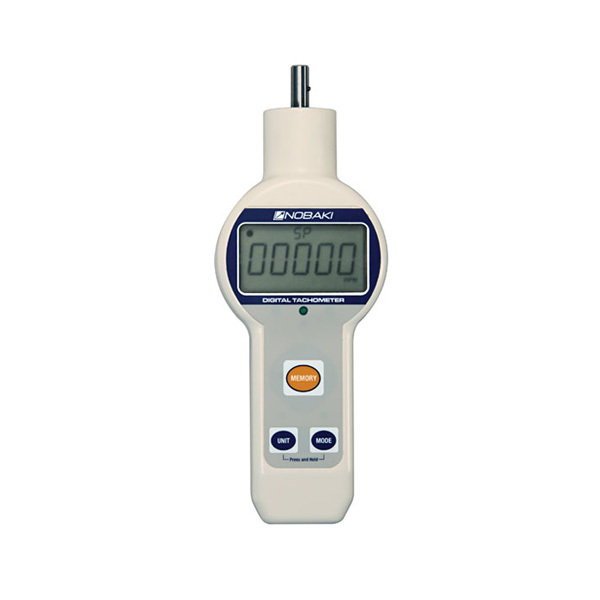 The EHT-600 Digital Tachometer / Lengthmeter features exceptional resolution at low speeds. The EHT-600 is easy to use and is built with an ergonomic metal housing and operates on two standard AA batteries. 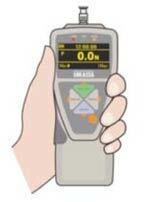 The tachometer is small enough to be carried in a pocket. The EHT-600 features four measuring modes: Real time displays the current value, Maximum displays the highest value, Minimum displays the lowest value and Mean displays the average value taken during the test. The unit has a 99 data memory and a last reading recall. All tachometers come with a 3-Point Calibration Certificate traceable to NIST. The EHT-600 is sold as a kit. 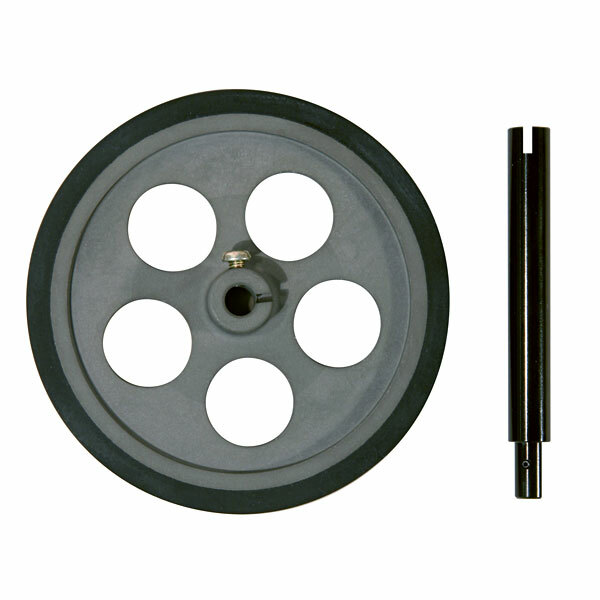 The standard model includes the tach, cone and funnel adapters, 2 AA batteries and a plastic carrying case. Optional 12″ wheel accessory and 4-AA rechargeable batteries with charger are also available for models EHT-601, EHT-602 and EHT-603. See the Models tab for more information. Optional Accessories 12" wheel (surface speed measuring wheel is necessary to measure linear speed), 3-1/2" Extension Shaft.